The Bossier Parish Police Jury is keeping a close eye on traffic flow ahead of the new Benton High School opening next year. Bossier Parish Engineer Butch Ford said the jury plans to do an updated traffic study near the future home of the school. Specifically, the Linton Road intersection where Airline Drive and Palmetto Road meet. Benton’s new $45.5 million high school is the largest project to date from Bossier Schools’ 2012 construction bond program. Its design will initially accommodate as many as 1,450 students when it opens in the fall of 2019. Because of its size, there are some concerns with the current road layout. Something to consider, Ford said, is extending the drive next to Barksdale Federal Credit Union. If they decide not to extend the road, all of the additional traffic will be pushed through the Kingston Road corridor. Opening an extended drive would allow traffic to bypass Kingston Road completely. One thing they will use to their advantage is the staggered bell schedule since Kingston Elementary and Benton High School have different start and end times. The Bossier Parish Police Jury will already be making improvements to the Kingston Road corridor before the new high school opens. Their first project is to add a traffic signal on Kingston Road at Fairburn Avenue, which they plan to do this summer. When the new high school opens, Ford said the need for a traffic light will increase. It will certainly help residents leaving the St. Charles Court subdivision. 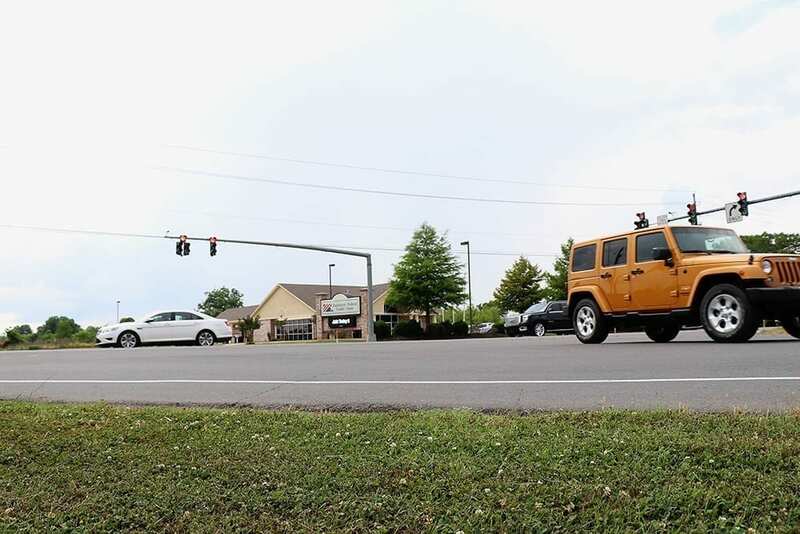 Ford said the parish also plans to add a southbound right turn lane from Kingston onto Airline Drive and turn lanes at the entrance of Kingston Plantation. The parish is also working with the Louisiana Department of Transportation and Development to extend the existing southbound left turn lane on LA Hwy. 3 to accommodate more vehicles turning onto Kingston Road.